Emrys Hughes, the son of Rev. J. R. Hughes, was born in Tonypandy, Wales, on 10th July, 1894. Educated at Mountain Ash School and the City of Leeds Training College, he became a school teacher. 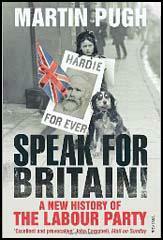 In 1924 Hughes married Nan Hardie, the daughter of James Keir Hardie. 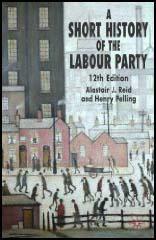 Hughes also became editor of Forward, a socialist journal published in Glasgow. A member of the Labour Party Hughes was elected to the House of Commons in 1946. In the House of Commons Hughes associated with a group of left-wing members that included John Platts-Mills, Ian Mikardo, Lester Hutchinson, Leslie Solley, Sydney Silverman, Geoffrey Bing, Konni Zilliacus , D. N. Pritt, William Warbey, William Gallacher and Phil Piratin. Hughes often criticized the leadership of the Labour Party and had the whip withdrawn between November 1954 April 1955 and March 1961 - May 1963. Emrys Hughes died on 18th October, 1969.